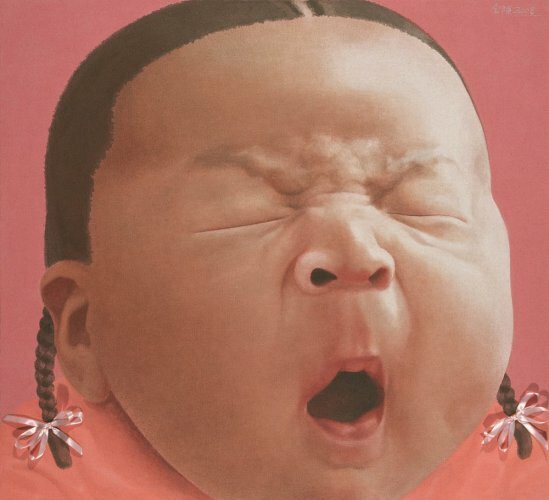 Yu Chen’s style originated from the realistic tradition of 20th century Chinese art. She dwells on portraiture but her subjects and aesthetics are unusual for a female painter. 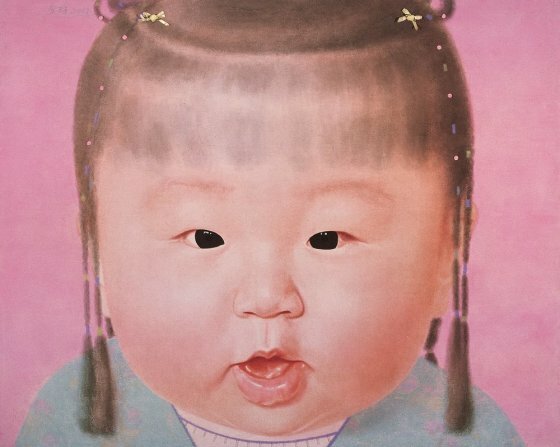 She focuses on babies alone, which she depicts with affection but also with a critical distance on the roles they are given in Chinese society. 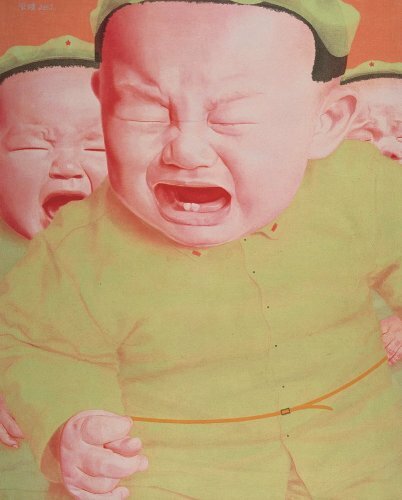 As one of the few female artists in a largely male-dominated art scene in China, she deals with social issues that are culturally and politically charged, through feminine eyes. Although an art academy teacher, she is not obsessed with painting technique. Rather, she tries to grasp the spirit behind the superficial image. For her, this insight has to be understood through the female instinctive sense. Her work takes on an unfinished quality, she uses a coarse canvas surface and applies her colours in thin layers. She complements unusual colour tones by sticking ornaments to the figures’ attire, or depicts them holding treats. This unfinished aspect of her work is a way of acknowledging the gap between the presented image and the intrinsic spirit of it. Through various techniques and symbolism with her palette of bright, brash reds, her work depicts a raw, emotional quality.